In good spirits we left our home, with blue skies, but when we got closer and closer to the track (TT circuit Assen) it started to rain. And that rain… kept us waiting till 15:00.. When it got dry enough i booked to 2 sessions on a still very wet track, and with no windshield wipers and on rally slicks it was quite a gamble. I must say, these tires (link here) work ok on a wet track, just avoid the larger puddles! My brakes are oversized for dry tarmac, so it was difficult to get a feeling in the wet.. but the overall feeling of the car is good, neutral in fact. Dispite the 4hour trip and 40min of action, i’m happy. 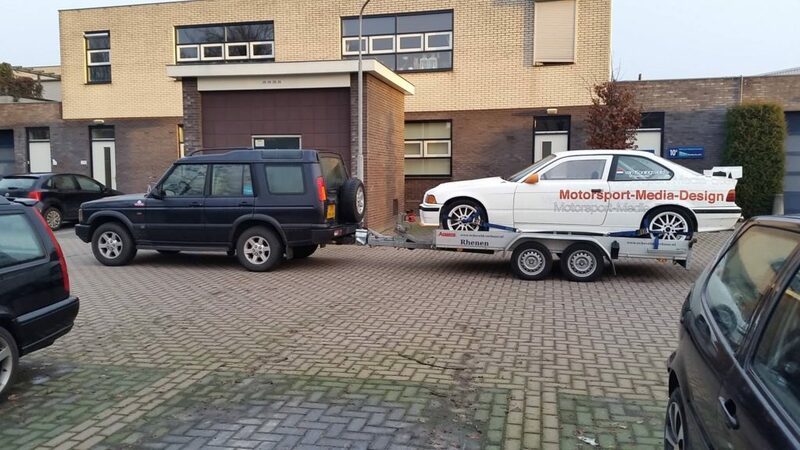 Previous Post We will participate in DroomAutoDag!